As I continue thinking about what might be next for me down the road in terms of making an income, I am excited to brainstorm the possibility of being my own boss. This is something it seems that many dream of doing, and I’ve always been too worried about the lack of stability to do it. But if there was a way, it would probably be pretty cool. So when my friend invited me to the launch of her new business venture, I was super curious to find out what it was all about. 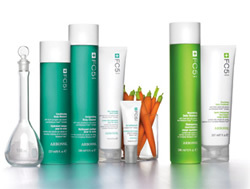 I was excited to learn that she would be representing Arbonne, a beauty product line that has followed a non-traditional business format for over 30 years. While they covered the benefits of the products — that their products are natural, that the ingredients are FDA-approved, that their products are free of mineral oils — a lot of their pitch was in getting others on board to sell the products as well. Now I’ve heard of these kinds of deals before and have thought in the past that they might be a little murky, but in this particular instance, since you would be your own boss, would be investing very little, you really don’t have much to lose. And seeing a friend of mine trying it out, a friend who is careful in her decisionmaking, I’m starting to turn a corner. Maybe it’s a different way to do business, and maybe that’s okay. So as my friend kicks off her work with Arbonne, I will be curious to watch her success. Perhaps it will open up possibilities for me in the future when I am looking for a more flexible schedule or additional income, or a change of pace. In the meantime, I’ll be looking to try out these products. A girl always needs to explore new ways to make herself glow! Click here to check them out for yourself!